Our body care range includes specially developed shower creams, bath essences, oils and lotions that care for more than just your skin. Learn more. It almost sounds like magic. She uses her hands to draw slow, loosening circles on your body without applying any great pressure, and yet still deeply relaxes your muscles and tissue. Holistic care for the entire body. 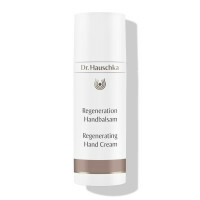 When developing Dr. Hauschka’s range of body care products, we remain mindful of the human body as a whole with all its various needs. The idea is to support the body’s own activities by strengthening and balancing impulses, thereby helping it to reach its natural equilibrium. 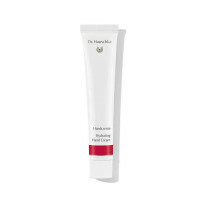 As a result, every individual product – be it a lotion, an oil, a cream or a powder – has its own distinctive character. One of the main functions of our body care range is to regulate and maintain the body’s natural heat rhythms – either by supporting the creation of heat, focusing the heat, or letting it flow through the body. 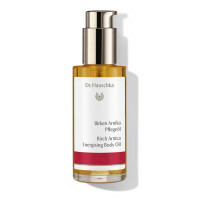 Dr. Hauschka Body Care provides many opportunities for mindful moments. Body care as a personal ritual. From an invigorating shower in the morning to a nourishing hand cream applied during the day and a warming oil massaged into the skin before bed – caring for your body can become a valuable personal ritual. These little moments of time out enhance your daily life and leave you feeling good in your skin. Over time, your mind starts to associate just the scent of our Body Care products with these special moments. Nourishment from head to toe. 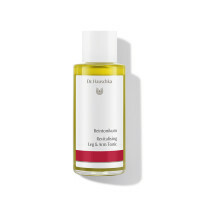 Dr. Hauschka’s Body Care range includes lotions and oils, body washes and bath essences, deodorants and body powders, as well as products to care for hands, nails, hair, feet and legs. They all translate the power and essence of their natural ingredients into nourishing impulses. Discover the variety of our Body Care range and let each product reveal its own special nature in a completely different way.